Can you be one of the 399? 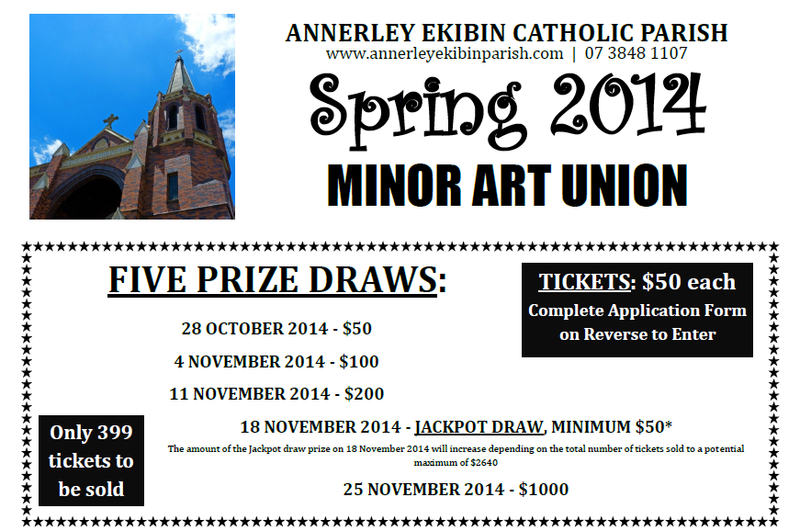 Tickets are now selling in our Spring 2014 Minor Art Union. 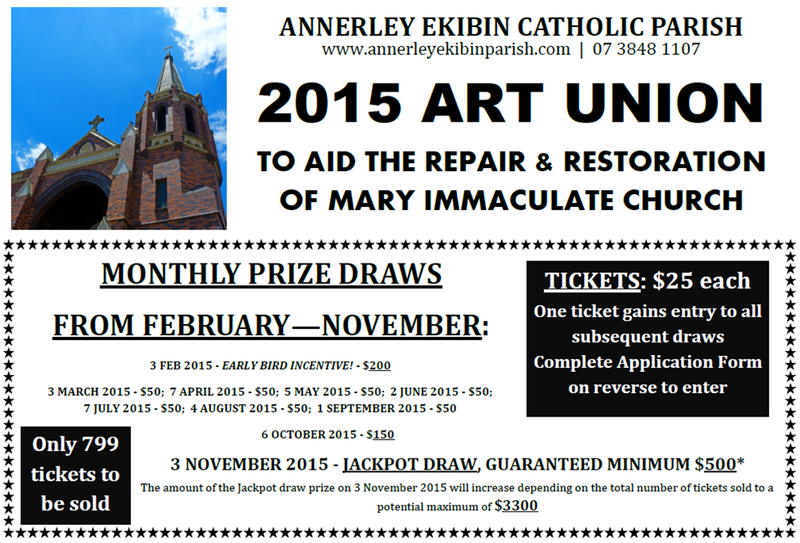 Proceeds are to assist the operations and ministries of our parish. We are very grateful to all who have purchased tickets already. There are only 399 tickets to be sold. Can you be one of the 399? !